This triple-axis accelerometer has an on-board 3.3V regulator - making it a perfect choice for interfacing with a 5V microcontroller such as the Arduino. This breakout comes with 3 analog outputs for X, Y and Z axis measurements on a 0.75"x0.75" breakout board. 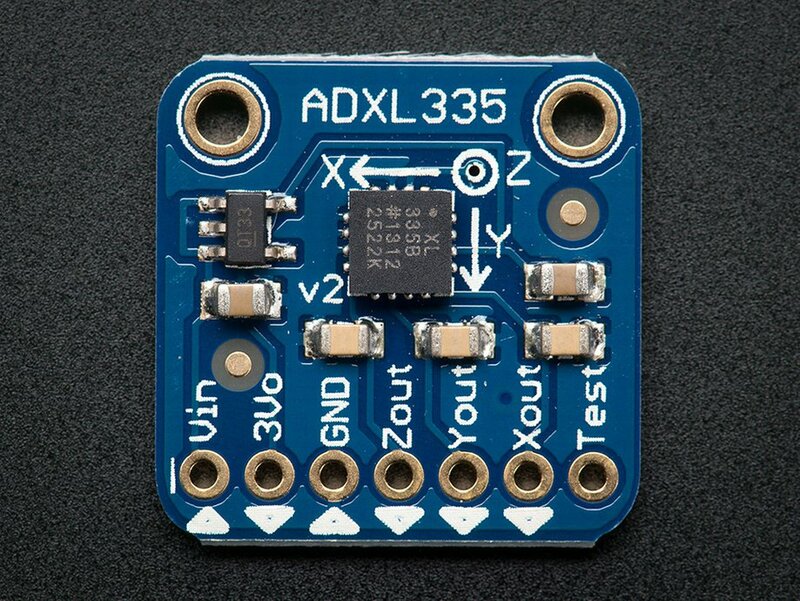 The ADXL335 is the latest and greatest from Analog Devices, known for their exceptional quality MEMS devices. 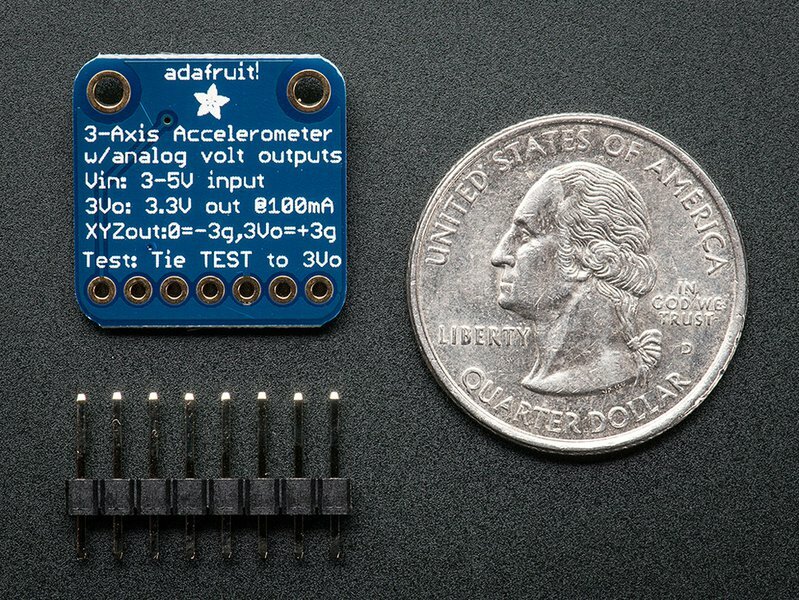 The VCC takes up to 5V in and regulates it to 3.3V with an output pin. The analog outputs are ratiometric: that means that 0g measurement output is always at half of the 3.3V output (1.65V), -3g is at 0v and 3g is at 3.3V with full scaling in between. The XYZ filter capacitors are 0.1uF for a 50 Hz bandwidth.